The Netherlands appear to be very, very metal and very, very fertile in growing new metal bands. 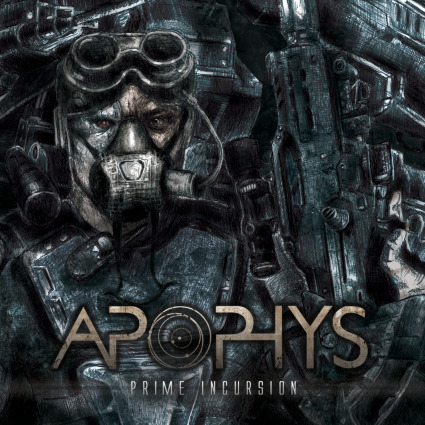 Aside from being from the very metal country of The Netherlands, Apophys is also a brand new band. It's always one of my greatest pleasures to pass along a new band to you. The members here have also been in God Dethroned, Prostitute Disfigurement, Detonation, and Toxocara. Well, our new friends here formed Apohyps in 2012 and we're now ready to dig into their debut album. 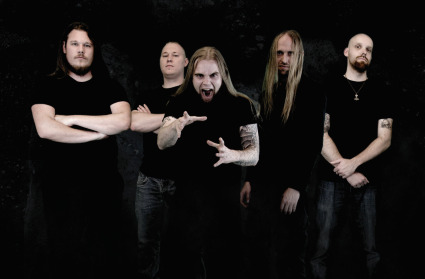 Though this is a European band, they have made a very American sounding death metal album. The drums are blasting the beats at all times. There is more snare on the fills than could be squeezed into the Grand Canyon. There are a great many melodic fills that don't quite reach the level of guitar solos that have that alternate picked feel of many early Morbid Angel records. The rhythms are the biggest departure from American Death Metal. The vocals are harsh and abrasive. Sung in a low register they inhabit the background of the sound. Prime Incursion is uptempo, dynamic, and has a great mix. Apophys has quickly carved out their own niche in a genre full of me too imitators.